The Dutch Church is proud of all the friendly Pastafarians who are creating opportunities for people all around the world! Off hand, there are some things it doesn’t mention. One is that Field Partners often offer mentoring services, savings plans,and sometimes insurance, that add to the costs of making loans, but increase the liklihood of a borrower succeeding. Occasionally, there is an unusual Field Partner that doesn’t charge interest and uses special outside funding for operational costs. The other situation is US loans which started as a special test effort, previously known as Kiva Zip. With US loans, there’s no interest and no mentoring support by a field partner. But there’s one way that lenders reap a financial “return” of sorts. We leverage our “philanthropy” when we choose to recycle loan repayments. In the eleven years I’ve been lending, each of my $ has done the work of $5. That’s despite the average being skewed by my adding in more money periodically. That’s also far more “return” than if I’d kept that money in the bank. Hi, Susan, any idea of what the percentage scam-rate is? Or, immediate delinquency? I imagine that field workers go to some lengths to check-out borrowers and it would be very low. Note that there’s a difference between delinquency and default. Default occurs when a borrower or Field Partner has not made scheduled payments for 6 months. Often borrowers eventually catch up. And sometimes a defaulted loan eventually repays. When looking at a new loan, we can click on “Repayments Schedule.” Once a loan is funded, we can see, if we choose, how the borrower is doing at repaying. By clicking on “Advanced” we can also see payments by the borrower to the Field Partner, and then FP to lenders. I don’t usually bother, except to pay attention to a good mix of short and longer term loans, lending only $25 to each loan pot. The shortest ones are 5 months, while the longest few are tree loans that repay only after 10 years. I love investing in trees. I also love getting lots of monthly repayments so that I can relend frequently. But then, I’ve become a Kiva addict. ;-) There’s also auto lending for those with less time. And, some folks make the most of what they have to lend by only choosing short term loans. 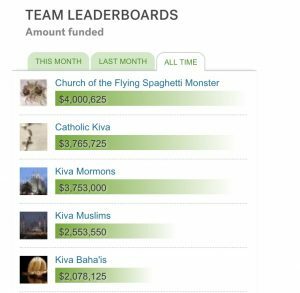 Kiva has all sorts of filters we can use to sort among what can otherwise be an overwhelming number and type of loans. One of them is degree of risk, if that is important to you. Narrowing down the types and / or locations of loans makes it easier to choose. We’re lending to people and groups that not only don’t have access to credit, but in most of the Kiva countries, there’s no social safety net. In addition some are affected by conflict. You’ll see on the link that US loan rate of repayment is significantly lower than the overall rate. US loans are interest free, but thus don’t have the cost of a mentoring and supervising Field Partner. Hi, Susan, thanks for your feedback and keep up the good work. I hope that the scammers that spam us get nothing. Wow! That’s a great number!